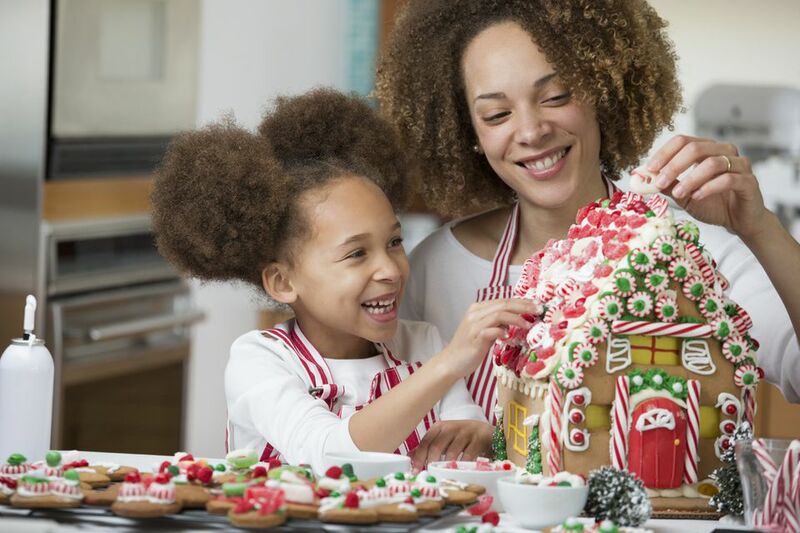 This shortcut gingerbread house and cookie dough recipe is a godsend. There's less measuring and only one spice to buy – ginger – than with a from-scratch dough. Mixing takes less than 10 minutes, cutting takes about 10 minutes and baking takes another 10 minutes. That's about 30 minutes of active work. If there is one caveat, it's that the dough must be refrigerated for 2 hours before rolling. That makes it a lot easier to work with. But you can use that time to plan the decorations for your house. Are you going Alpine and traditional or a beach shack in the Christmas Islands? Let your imagination run wild. What's the secret ingredient? A store-bought cake mix. Add a little flour, eggs, oil, molasses, and ginger and you have an easy-to-roll, gingerbread dough that can be cut into house pieces, gingerbread men or other Christmas cookie shapes. This makes enough shortcut gingerbread dough for 1 house or 14 (6-inch) gingerbread men. In a large bowl, combine spice cake mix, 1/2 cup all-purpose flour, 2 large room-temperature eggs, 1/3 cup oil, 1/3 cup molasses, and 2 teaspoons ginger, mixing well. The mixture will be soft. Wrap in plastic and refrigerate 2 for hours. Heat oven to 375 degrees. Cut parchment paper to fit your baking pans. Roll the dough directly on the parchment paper (but not on the pan). Using pattern pieces or cookie cutters, cut out leaving a 3-inch space between pieces. Lift the parchment paper by opposite corners and place on the baking pans. Bake 8 to 10 minutes or until edges just start to brown. Cool completely on baking pan before removing. Decorate cookies or use the pieces to build a house.